Have been meaning to put this on for a while. I am sure many around Henley and many other places too saw this wonderful inland sunset. I have to tell you, though hard to believe, there is no added colour to this photo. That's what makes it even more remarkable. 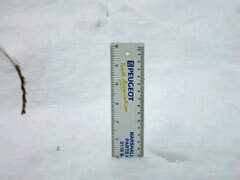 This photo taken in February 2007 illustrates the large snowfall experienced early in the that month. It was possibly the most for 26 years. 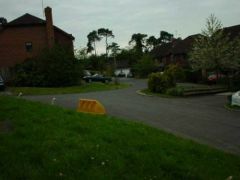 The entrance to Gravett Close taken from its junction with King James Way. 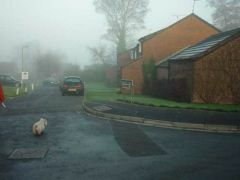 Looking down to the corner of Gravett Close. The yellow box contains salt grit for putting on the road when it is frozen. 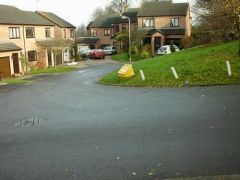 A view of the top of Gravett Close showing its junction with King James Way. 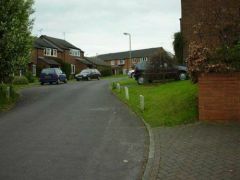 A view looking down into the corner of Gravett Close. 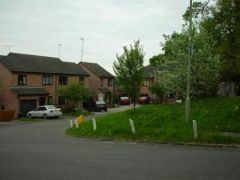 A few of the residential houses that are situated on Gravett Close.